Whenever a home appliance breaks down, the question is always the same: do I repair it or do I toss it into the bin and buy a new one? The right decision depends on several factors that we will try to cover below. No matter the specific unit we're dealing with, the choice between whether you should repair or replace a HVAC system usually falls on how severe the malfunction is. If you have a minor issue with the HVAC system, there's no need to replace it altogether – a simple repair will do just fine. However, most home owners have no way of knowing the severity of the issue, which brings us to another issue altogether: exploitation. Many companies will use the lack of information on the customer's part in order to deceive them into buying a whole new AC or heating system. The combination of technical jargon and overly-complex explanations will confuse many a customer, leading them to simply take the easier, yet far more expensive route. Sometimes, these companies will outright lie and say that the unit isn't worth repairing when, in truth, a simple fix could have it lasting for years to come. That is why you need to be very careful when making the decision of whether to repair or replace. Fortunately, Boerne Air Conditioning Experts are here with the promise of delivering an honest estimate no matter the issue you're dealing with. 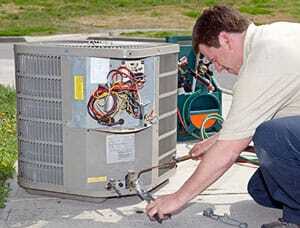 Since it's hard to gauge whether a malfunction of your HVAC system warrants replacement without technical knowledge, we'll be happy to come over and let you know what happened and what the optimal course of action is. Make no mistake about it – we're always glad to repair a customer's AC or heating unit instead of them having to buy a new one, but sometimes it simply isn't feasible. Aside from damage that is too severe, another reason is that the unit wasn't that expensive to begin with, meaning that the repair costs could outweigh the price of a new unit. 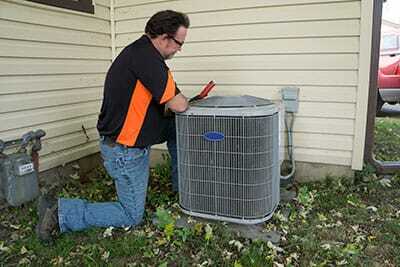 Another reason why you might want to replace your AC or heating unit is that you aren't satisfied with it. If you've been frowning at utility bills for years, maybe it's time to make an economic change – an investment into a more energy-efficient unit could pay itself off many times over as more and more time passes. We can go over your energy bills and examine various other factors to help you decide whether a replacement is in order – our technicians have a very good idea of what makes a good AC or heating system and will have no qualms about telling you whether your unit fits the bill. Don't waste too much time trying to figure out how big the issue with the AC or heating unit is or whether you should stick by your current system despite its less-than-satisfactory performance – give us a call and we'll come up with the optimal strategy that will yield the most energy efficiency and comfort inside your home.